Night at The Circus - The 'Good Morning Portugal!' Podcast - Episode 27 | Good Morning Portugal! 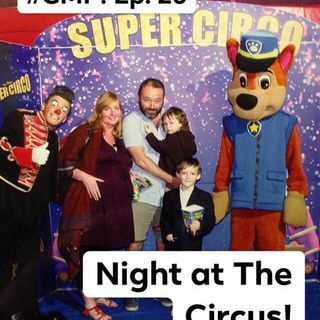 A wonderful and impromptu night at the (Israel Modesto's) circus in Ansiao, that was thoroughly enjoyed by all. A bit of circus-based vocabulary for you, and the good news that it was animal-free, genuinely-thrilling and a great way to immerse ourselves in language and culture. In our minds, we can still recall the roar of the grease-paint and the smell of the crowd!